Above: Mel '55 and Margaret Hildebrandt at a Rice dance, 1955. Below: At Cohen House, 2017. In our individual lives and together as a community, we honor the institution that gives us the courage to dream big and empowers us to turn those dreams into reality. To Rice Be True: That's our rallying cry and our call to action. It motivates us as we cheer for our team and support each other. It inspires us as we invent, discover and celebrate our successes. And it guides us as we invest in Rice as a force for good in the world. When we honor Rice through a will, trust, retirement plan or other deferred gifts, we continue the important work of our founders  William Marsh Rice, Captain James A. Baker and Edgar Odell Lovett  and carry their legacy forward. This bold initiative is the chance for the extended Rice family to plan wisely and give with foresight. Together, we can focus on the future, secure in the knowledge that generations of Rice students and faculty will benefit and that our generosity will last forever. To Rice Be True. 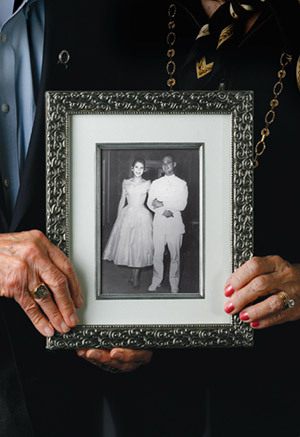 Mel Hildebrandt '55 and his wife Margaret came to Rice by different paths, but they are united in their motivation for supporting the university. 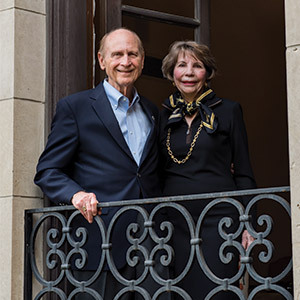 And that common love has inspired them to transform their charitable gift annuity  originally designed to benefit Rice in the future  into a generous outright gift to the Rice School of Architecture. To Rice Be True invites you to launch your legacy today, empowering philanthropy in a fresh, energized way  and choosing gift options that can be tailored to your goals and your connection to Rice. Explore options with the gift planning staff: gift plans, goals, benefits and opportunities to create an experience that is as individual as you are. Review this website to get acquainted with the resources and options that can lead to your personalized gift plan. Discuss choices with your family and advisors.